Every business’ VoC nirvana is generating a true and measurable return on investment (ROI) from their VoC program. And, every VoC software and service vendor claims to be the “vendor that provides ROI”. But, Confirmit can prove it! 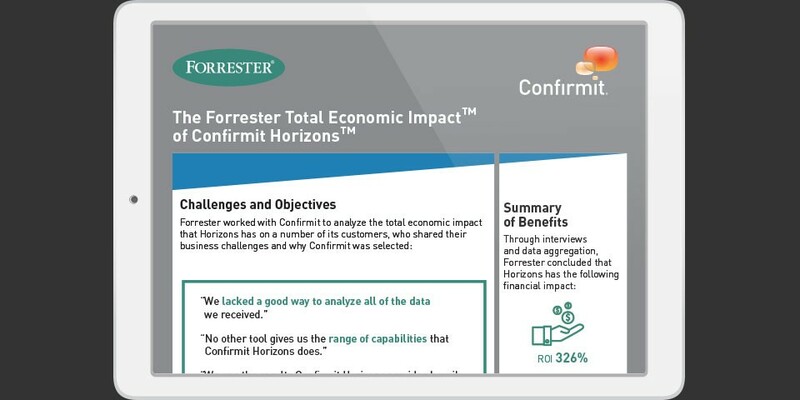 Download the Total Economic Impact Infographic to see the return on investment other organizations have enjoyed by partnering with Confirmit. The winners’ stories in these pages are just a handful of the remarkable submissions that demonstrate how the Voice of the Customer has the power to drive an organization forward, delivering positive customer experiences and Return on Investment. The Confirmit ACE Awards program celebrates outstanding achievement in Voice of the Customer and customer experience. Receiving a Confirmit ACE Award is a distinct honor that demonstrates an organization’s rigorous application of Voice of the Customer best practices, and its outstanding performance as measured by those processes. A positive customer experience can improve customer retention, attract new customers, increase revenues, and improve employee engagement. To enjoy such benefits, however, your company’s customer experience initiatives must be organized and supported by a well-planned Voice of the Customer (VoC) program. With that in mind, we’ve put together 16 expert VoC tips that will help drive your company’s VoC program toward success in the year ahead. Choosing the right metrics can be a big challenge. Many questions arise and some people get stuck trying to define details. Rest assured, Confirmit can help and our infographic guide to VoC metrics is here get you off to the right start! Creating a positive and consistent customer experience across multiple channels is one of the biggest challenges facing businesses today, and a solid Voice of the Customer program is core to meeting this challenge. This white paper outlines clear steps to help streamline processes and drive change. Ready to find out more about how Confirmit can help drive your business forward? We’re incredibly proud of our solutions and we’d love to show you more. Tell us a bit about your company and we’ll show you how we can help you meet your business objectives today – and in the future.